I reside or work in selected county. 65 years of age and better! 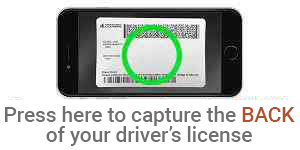 Please attach your driver’s license or other form of government issued ID (non-military). If your current address is not reflected on your ID, Please provide an image of a current utility bill or other 3rd party proof of address. ONLINE NEW ACCOUNT E-SIGN CONSENT TO RECEIVE ELECTRONIC COMMUNICATIONS, INCLUDING CONSUMER DISCLOSURES Please read this consent ("Consent") completely. This Consent covers electronic records, including consumer disclosures, as specified below, that are provided by First Community Credit Union (the "Credit Union"). The words "we," "us," "our" and other similar terms refer to the Credit Union, and the words "you," "your" and other similar terms mean you, the individual(s) or entity identified on the account(s). For this electronic service enrollment process, consent by any one authorized user will be effective for all authorized users on the account(s). IT IS RECOMMENDED THAT YOU PRINT OR SAVE THESE DOCUMENTS FOR FUTURE REFERENCE. If you choose not to agree you will not be eligible to continue with the online new account process. However, you may open an account through other channels, such as in person, over the phone, or through the mail. By clicking “I Agree”, you authorize the Credit Union to obtain credit reports in connection with this application for credit and for any update, increase, renewal, extension, or collection of the credit received and for other accounts, products, or services we may offer you or for which you may qualify. I have read and agree to the E-Sign and BSA Disclosure I have read and agree to the Account Disclosures, Terms and Agreement.